Vancouver, British Columbia (FSCwire) - Prophecy Development Corp. ("Prophecy" or the "Company") (TSX:PCY, OTC:PRPCD, Frankfurt:1P2N) is pleased to announce the Company's priority objective at the Pulacayo silver-zinc-lead district project located in southern Bolivia and close to major silver mining projects operated by Coeur Mining Inc. (San Bartolome), Pan American Silver Corp. (San Vicente) and Sumitomo Corporation (San Cristobal). All necessary permits have been obtained in 2013 to mine up to 560 tonnes of ore per day. Historic highs: USD=₮2,284.39 (2016.09.29). EUR=₮2,568.17 (2016.08.19), JPY=₮22.68 (2016.08.18), GBP=₮3,183.26 (2014.08.13), RUB=₮54.32 (2014.06.27), CNY=₮341.81 (2016.08.18), Reds are rates that set a new record low at the time. 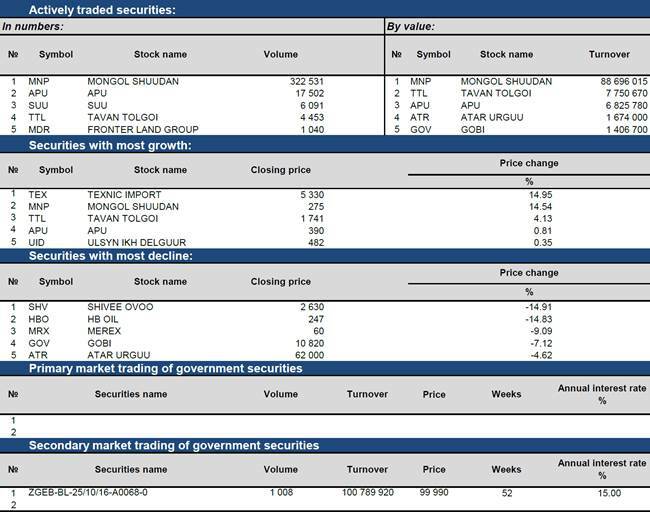 September 29 (Bank of Mongolia) Spot trade: Commercial banks bid MNT 2272.00-2290.00 for USD31.61 million and MNT 340.64-342.50 for CNY56.0 million respectively. The BoM sold USD 14.4 million in a single rate of MNT 2286.21. Swap and forward trade: The BoM received bid offers of USD5.5 million of MNT swap agreements from commercial banks and accepted bid offers of USD2.0 million. Ulaanbaatar, September 29 (MONTSAME) Governor of the Bank of Mongolia (Central Bank) N.Bayartsaikhan expressed his position on exchange rate fluctuations. He said: "Foreign currency reserves have gone down due to the interventions over the past years. Thus, the central bank will no longer prioritize currency intervention as key principle in stabilizing the national currency rate". "Henceforth, the Bank of Mongolia has utilized an old approach of increasing the policy rate, which has unpleasant impact on the individuals on the surface but brings general stability to the overall economy. The Bank will take gradual steps toward reducing the policy rate once the flow of export and import begins to rise", he said. Ulaanbaatar, September 29 (MONTSAME) Governor of the Bank of Mongolia (BoM) N.Bayartsaikhan presented a draft resolution on Monetary Policy for 2017 to Speaker of Parliament M.Enkhbold on September 29. The draft has been designed in consideration of ongoing financial and economic difficulties in Mongolia and with a vision to sustain financial stability and improve risk tolerance of the country financial sector. The introduction to the document highlights an importance of order and discipline in budget consumption and proper debt management for accomplishing goals of sustaining the financial system, making up the currency reserves and attaining more resilient exchange rate. The central bank governor, Mr Bayartsaikhan raises concerns about the necessity to pursue complete macroeconomic policy in order to overcome the economic difficulties with minimum damage, and about the potential problems in the payment balance due to the approximating payment period for debts of the government, the Development Bank, the BoM and private sector. September 29 (gogo.mn) Asian Development Bank Mongolia will hold press conference on Sep 30th at 11AM on latest economic outlook of Asian developing countries, including Mongolia. ADB Country Director Yolanda Fernandez Lommen, Senior Economist Norio Usui and Economics Officer Amar Lkhagvasuren will answer any interested questions of the attendants. ADB's flagship economic publication Asian Development Outlook Update 2016 (ADO) provides a comprehensive analysis of macroeconomic issues in developing Asia, including growth projections by country and region. ADOU presents analysis of 45 economies, including Mongolia, the People's Republic of China, India, and Indonesia. The report also examines the prospects for developing Asia by subregion: Central Asia, East Asia, South Asia, Southeast Asia, and the Pacific. Venue: Shanrgi La UB hotel, 1st floor, Paris Beijing room. September 29 (Erdenes Mongol) Ts. Tumentsogt is today designated as CEO of Erdenes Mongol, a state owned investment company. The company's board meeting is going on at the moment, and the decision has come from the meeting. The previous CEO B.Byambasaikhan informed that he would relinquish his position in earlier this month. However many people have been discussed for the new CEO position, and finally Ts. Tumentsogt is appointed. Ts. Tumentsogt has been working as Chief Representative of the General Electric, a US-based giant, for 5 years and is a well acknowledged man in the Mongolian business field. In last June, Erdenes Mongol and GE Mining established a MoU to form a strategic relationship with regard to the development of mining, energy and infrastructure projects in Mongolia. Ulaanbaatar, September 29 (MONTSAME) The cabinet issued Wednesday a direction to the budget administrators on measures for promoting national production and manufacturing. The related officials were assigned to study the possibilities to raise import taxes on some goods listed in the Resolution No 336, issued in 2015. The officials were also tasked to forward proposals on feasible changes to the above resolution, to study ways of encouraging through financial incentives the national manufacturers that meet the standard requirements, to practice discount principles for home-produced goods and services during bid and tender procedures, and to encourage and award companies and organizations, which promote the national production. Mogi: banning owning shares in offshore-domiciled companies is going too far. This will mean you can't own MMC shares. Banning offshore bank accounts, I'm all for it. September 29 (news.mn) Since the 'Panama Papers' scandal broke, there has been speculation about financial entanglements between some Mongolian government officials and the Mossack Fonseca law firm. Discoveries of offshore bank accounts and private entities under the name of various high-ranking government officials have damaged public confidence. The Cabinet has discussed draft amendments to the Law on Adjustment and Prevention of Conflict of Interests in the Public Service, and resolved to submit the bill to the State Great Khural (Parliament). The bill bans government officials, who are obliged to submit annual income statement to the Anti-Corruption Agency (ACA), from owning bank accounts and private entities in offshore regions. According to the statistics, a total of 13,140 companies with investments from 110 countries have been registered in Mongolia, of which 920 companies or 7.0 percent have investments in offshore regions. 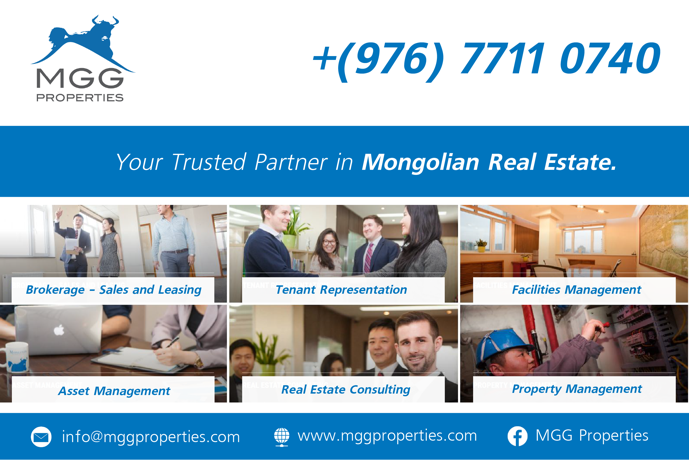 Between 1990 and 2015, a total of USD 14.2 billion in foreign investment entered Mongolia. Offshore investments constituted USD 10.8 billion or 76 percent of this amount. Ulaanbaatar, September 29 (MONTSAME) At its regular Wednesday meeting, the cabinet discussed the inception of Education Loan Fund and the draft regulation on the loan for student development. The draft enables families with three or more children attending tertiary education institutes to benefit from the fund's financial assistance. The fund is expected to allow students to pay their tuitions with student loan, alleviating thereby the financial burden on the households. Ulaanbaatar, September 29 (MONTSAME) The Cabinet resolved on Wednesday to submit the bill on ratifying the Financial Cooperation Agreement between the Governments of Mongolia and the Republic of Austria to the State Great Khural for immediate discussion. The funds of EUR 40 million from the 18-year soft loan is to be allocated for projects on drinking water source in rural areas, health and sanitation, waste management, water treatment, traffic safety, railroad, education, government training center and social care. A decision was made to deploy a project unit with purposes of launching major projects such as the on Oil refinery plant and the Project on Coal Gasification Plant. The Ministers reviewed the concept of bill on Genetic Pool of Livestock, and approved the document. 2. Has Government Mortgages Hit a Dead-end? September 29 (UB Post) Prime Minister of Mongolia J.Erdenebat, Head of the Cabinet Secretariat J.Munkhbat, and Deputy Finance Minister Kh.Bulgantuya held a meeting with banking sector representatives last week. Prime Minister J.Erdenebat opened the meeting and said he is seeking solutions to the current economic downturn with the private sector. "Parliament approved the government's action plan for 2016-2020. Throughout this economic downturn we are facing, the government has held meetings with various industry representatives to find a way out of this challenging time," the Prime Minister said. "The government is looking for financial sources to continue the mortgage loan program. We are planning to make amendments to the criteria that limits apartment purchase through mortgage to less than 80 square meters in space, which will be increased to 100 square meters. Banks are not providing mortgage loans as financing hasn't been provided yet. "People who want to buy apartments bigger than 100 square meters in space will be able pay a down payment of 30 percent plus fees and acquire the eight percent interest mortgage loan," said Prime Minister J.Erdenebat. The 80 square meter cap was originally issued to the mortgage criteria to support low and middle income families acquire homes. Those capable of purchasing bigger apartments were not considered target group of the mortgage loan program of the government. To close the meeting, the Prime Minister said, "Last year, the only profitable sector was the banking sector. Previously, meetings were held with business representatives, people complained about banks and financial institutions' monopoly in the market. Mutual understanding is required." The following are views expressed by banking and financial sector representatives at the meeting with the Prime Minister. Deputy executive director of Khan Bank R.Munkhtuya: It is better if the government stops implementing small projects that cause damage to the market created by the banks. These projects should be implemented through the fund for the development of small and medium-sized enterprises (SMEs). Banks are consistently updating their user data through advanced technology. If we can integrate user information with state information, the combined accuracy of information registration will facilitate a better decision making process for banks. Therefore, we ask the government to pay more attention to data accuracy. Executive director of the Mongolian Bankers' Association J.Unenbat: Non-performing loans are increasing and banks tend not to provide additional loans. There is a need to decrease non-performing loans and improve active assets. Banks are discussing to establish an asset management department. Deputy CEO of Trade and Development Bank L.Soronzonbold: The government should provide support to increase aggregate demand. For example, we face a real need to continue the mortgage loan program. 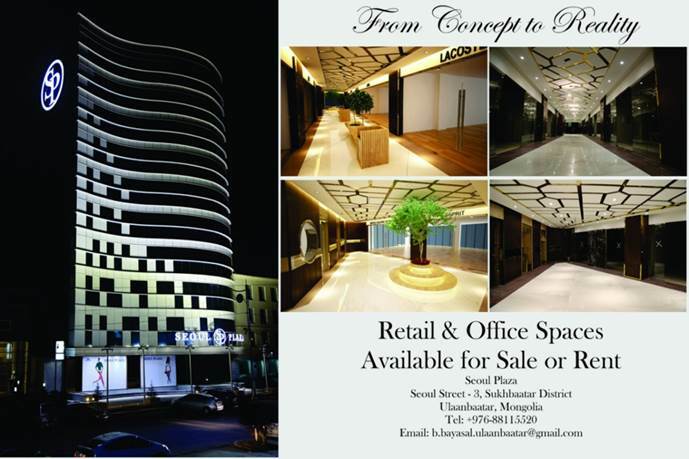 Mortgage loan is limited to apartments smaller than 80 square meters in size. Many have requested mortgages for larger apartments. Currently, the Mongolian Credit Guarantee Fund is working to support SMEs. This fund only supports SMEs and first time apartment buyers, and if the fund provides guarantee for young families, sales turnover might increase accordingly. Vice President of Mongol Bank B.Lkhagvasuren: The financial sector always had a bias systematically. 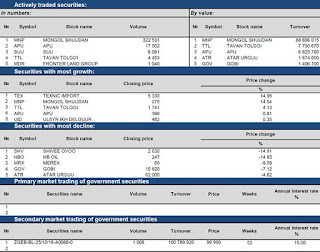 The banking sector makes up 96 percent of the financial sector, while the rest – insurance, securities trading and non-bank financial institutions (NBFI) – make up only four percent of the market share. This has been so for the past two decades. Mongol Bank (BoM) and the Financial Regulatory Commission of Mongolia are discussing at policy level to develop securities trading and NBFIs. During an economic crisis, not only the government but the private sector needs to cooperate. Decreasing loan interest rate has two possible outcomes. If BoM decreases the policy interest rate, this will be an authoritarian measure. This should be regulated by the market. If banks decide to stop paying interest fees for current and savings accounts, BoM is ready to support it. The most intriguing issue today is loan quality. Loan repayment has slowed down due to economic conditions, legal environment and interruptions in regular business operations. We are working to improve the legal environment. The movable property registration law should be mentioned; if the movable property is put into market circulation, loan quality could increase to a certain extent. This law will be implemented soon. The other legal framework is the transfer of collateral assets outside of court decision. The resolution has been approved enforcement is lacking. The Mongolian Bankers' Association, BoM, Ministry of Justice and Internal Affairs of Mongolia and other government agencies need to cooperate to put everything on the right track. In general, transfer of property outside of court decision is common worldwide. However, this is not enforced in Mongolia yet. The five percent interest mortgage loan was not a right decision from the start, while the eight percent interest mortgage loan was implemented correctly from the beginning. Consequently, there was no need to decrease the interest rate. Hence, BoM is unable to continue the five percent mortgage loan, but the eight percent interest mortgage loans must be continued in the future. However, certain steps are required prior to issuing mortgages again. In other words, mortgages accounted for 30 percent of the total loans of the banking system. This figure is much higher than other industries' loans, such as mining and construction. Increase of mortgages has another negative impact on expenditure. In other words, mortgage holders repay their loan with interest and are left with insufficient finance for other spending. This could lead to deflation; absence of demand decreases procurement. BoM is being very cautious on mortgage related issues but intends to continue it further. Director of an insurance company N.Batzul: I want attention on three main issues. The insurance law's enforcement is very poor. Insurance is developed in two main categories world-wide; life insurance and property insurance. However, life insurance hasn't developed well in Mongolia. This needs to be addressed. Additionally, compulsory insurance makes up 25 percent of the total insurance. Executive Director of Bogd Bank G.Saruul: Non-performing loans take two to three years to process through the court and related expenditures are quite costly. BDSec representative Dayanbilguun: The government should simply issue special purpose bonds. The bonds should finance enterprises to increase overall revenue. Investors' activity has been stopped to a certain extent. Furthermore, it is possible to reduce domestic bond interest rate traded in the stock market. September 29 (UB Post) In May, when the Mongolian parliament decided to criminalize domestic violence for the first time in the country's history, women and NGO's were applauding the decision. The revised edition of the domestic violence law along with amendments to the Criminal Code was supposed to go into effect on September 1, and domestic violence would no longer be viewed as a "domestic matter". The government's recent decision to delay the implementation of the laws faced strong resistance by social groups seeking to protect thousands of victims of domestic violence. As a result of social opposition, the government decided to revise the laws and the domestic violence law is expected to be passed within the next two months. The new laws were supposed to punish domestic violence resulting in serious injury or death with imprisonment and "light" causes of violence would be punished by a restraining order. Victims and witnesses of violence would also be protected. To create the necessary infrastructure to support the Law to Combat Domestic Violence, six laws were amended, including the Criminal Code, Law on Law Enforcement, Law on Administrative Violations, Law on Criminal Procedure, Law on Marshals Service, and the Law on Victim and Witness Protection. The country's first ever domestic violence law was passed in 2004. The National Center Against Violence (NCAV) argues that this law was not sufficient as it had many gaps and the law alone was unable to protect the victims and the witnesses of violence. The NCAV has worked very hard to improve the new laws and that is why they are opposing the government's recent decision to revise the laws. The government aims to implement the domestic violence law alone and argues that this law alone will be sufficient to protect victims of violence. Arvintaria, the Legal Reform program coordinator at the NCAV, argues that the law alone will be even worse than the limited law from 2004. "This law alone cannot protect the victims, all the laws must be passed and enforced together, at the same time. There is a wrong understanding among Parliament and the public in which they think that one law alone is enough to combat domestic violence," says Arvintaria. "The domestic violence law alone is not enough to protect the victims, but together these laws will make things better; it will be the legal system we are expecting to create," says Arvintaria. "We cannot hope for better improvements now when the laws will be revised, but on the other hand, we are hoping that the government won't change the progress we have managed to make in these new laws," she says. Over the past six years alone, 95 women have lost their lives due to domestic violence and the number is increasing. The majority of the victims are women, but domestic violence also strikes older people, children, young people and disabled people. Far from all incidents are reported. "Domestic violence can be seen as an iceberg. The top consists of the reported incidents, but underneath the ocean there is a much bigger, invisible mountain that no one can see, and that's all the cases that have not been reported," Arvintaria says. "The numbers are increasing and the government is doing absolutely nothing to protect victims of violence," says Arvintaria, who argues that the government is doing a terrible job facing this issue. flicts and give comprehensive training to agencies such as the police." The new laws were supposed to grant the police the authority to enter a home immediately if a victim's life or health is at stake, as well as to remove children who are in danger of harm. The laws were also meant to require citizens to report child abuse and those who refrain would face fines. In addition, the new laws would make it easier for women to obtain restraining orders. Over the past 12 years, only 54 restraining orders have been issued in Mongolia, and in reality not many of these have been followed up. Under the new laws, domestic violence would also be treated as top priority. The NCAV was established in 1995 and has since worked hard to combat the issue of domestic violence. Victims can come to the center, where they will be provided legal and psychological aid. Today there are two shelter houses in Ulaanbaatar that women and victims of domestic violence can go to if they are in danger. One center is run by the police and the other one by the NCAV. In total there are around 60 beds in these two shelter houses, and 60 percent of the current residents are children. As the numbers of victims of domestic violence are increasing, something needs to be done and the authorities need to work together, Arvintaria argues. "The police or an NGO alone cannot solve the issue, we need guidelines that all agencies can follow, no one can fight the issue alone," she says, "We have to target all the underlying factors such as alcoholism, poverty and unemployment." September 29 (gogo.mn) Although first held democratic elections as long ago as 1991, older people continued to support and vote for the Mongolian People's Party (prior to 2010, the Mongolian People's Revolutionary Party). But this year, we had protest vote in that the youth also voted for the MPP. 3. effective black PR campaign. Each of these reasons is further explained below. 1. The biggest reason why Democratic Party failed in the elections was cited as the non-democratic ruler of the Democratic Party. Here we are talking about the former Speaker of Parliament. His autocratic and authoritarian style became a matter of concern for Mongolia and Mongolians. Here are some examples of how he was a non-democratic speaker. 1. He cut off the microphone when a Parliament member speaking within his allotted time and he explained that the reason why he cut off the microphones was that 'I don't like what you are talking about', or 'I do not understand what you are speaking about' etc. This happened more than just once. He discriminated against a parliament member based on his rural and non-mainstream dialect. These are just some examples. There are many other examples of his unpopular behavior and this is one of the biggest reasons why the Democratic Party failed. 2. Prime Minister Saikhanbileg called a referendum on 31 January 2015. There were 2 choices: 1. We have to move forward by making decisions about mega-projects such as Oyutolgoi; or 2. save costs and use austerity to improve the financial situation. The referendum continued for 4 days, but was flawed. First, at that time the population of Mongolia had just reached 3 million, but the PM said that he has sent the referendum election message to a total of 3.3 million voters. People were able to vote by SMS messages, and therefore this means one person could vote several times. Even non Mongolian citizens and children, who are not entitled to participate in national referendums, voted. Second, only 12% of the population voted and 5% of the population voted for option 1. If it was a valid referendum, by Mongolian Constitutional Law there is a threshold of 50% of the population. Third, no kind of audit or observation was undertaken by civil society groups. Overall, the populace determined that the PM did not give them realistic choices - they did not want to choose between the two options, rather they wanted to choose a combination of the two or perhaps even a third way to solve the problem. Further, notwithstanding that the result of the referendum was to move forward by being decisive about big projects, the Democratic Party's own internal conflicts of interest between its factions stymied any advancement on such projects even when they were in power. As a result, these big projects have not progressed even till today. 3. Our capital city and some rural areas developed rapidly for in the 4 years when the Democratic Party ruled the country. Thus many people really support and are proud of the Democratic Party. But their adversaries had an effective black PR campaign, judging the Democratic Party on its debt record. If we divide the total debt that Mongolia has now, every man has more than MNT 10 million in debt, approximately equivalent to USD 5,000. The opposition claimed (to great effect) that it was crazy that even newborn babies have debt. As a result, the majority of the population turned against the Democratic Party, ignoring the development that has taken place in the last 4 years when Democratic Party was in power. In the latest news, Mongolia's national debt has reached a total of USD 14,824,369,000. It is true that we cannot do anything without money, and therefore if we want to develop our country and we do not have money, we must borrow from others. When people asked about the efficient spending of the loan proceeds, it was difficult to find a positive answer. On other hand, it is true that the Democratic Party was not thrifty with Mongolia's money. Thus, Mongolians protested against the Democratic Party by voting for the Mongolian People's Party. In the last election, the Mongolian People's Party won 85.5% of the Parliamentary vote giving it 65 seats out of 76. Even the previous Prime Minister and Speaker failed to win their constituency, and so the Democratic Party now has only 11.8% of the current Parliament. This is a reaction to how Mongolians felt with the Democratic Party's non-democratic ruler and its messy political situation with too many conflicts of interest between its factions. Mongolia will have rural local body election in less than a month. But the Democratic Party has not convened its National Consultative Committee in the time since its previous election failure. So, political experts say that it appears that the Democratic Party will fail again. On the other hand, the Mongolian People's party have already passed some regulations and decisions that is differ from what they promised before the election. For example, they are discussing whether to spend USD 2.5 million on dog contraception. They are also discussing tax reform, retirement benefits and whether to discontinue the subsidised mortgage programme. If their actions are not consistent with the Action Plan that they submitted to Parliament, this could lead Mongolia to yet another protest vote in 2020. Only time will tell. 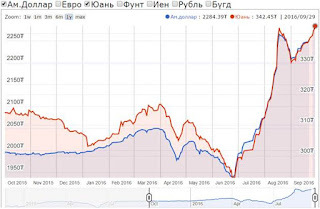 Will Bank of China engulf Mongolia's entire banking system? September 28 (UB Post) "China is a merchant-minded nation. If a branch of the Bank of China opens in Mongolia, it will do transactions in CNY, not MNT, and this will eventually raise issues related to the economic independence of Mongolia. In other words, the possibility of China taking hold over Mongolia cannot be denied," stated a foreign investor who has been residing in Mongolia for over 10 years. Normally, this sort of comment would be ignored by the majority, as it has become cliche, but this time it has alarmed many economists and locals. A country as influential as China could take over Mongolia within a few years if Mongolians bid farewell to the MNT and acknowledged CNY as the new national currency. Lately, both the public and private sectors are engaging in more talks about opening branches of large foreign banks in Mongolia. The Bank of China's experts formally requested setting up a branch in Mongolia earlier this year, in February, heating up relevant discussions and negotiations. Economists, on the other hand, are concerned about the potential threat these banks, particularly the Bank of China, could pose to Mongolia. At present, five foreign banks, including Sumitomo Mitsui Banking Corporation (SMBC), Bank of Tokyo-Mitsubishi UFJ (BTMU), and Bank of China, have opened offices in Mongolia, but the reason they haven't set up local branches is because evaluation results have shown that it's not possible for them to operate profitably. Opening local branches of foreign banks that are transparent and meet international standards has been proven to immediately boost investment and the economy of the host nation. It's difficult to pinpoint the Bank of China as a bank with an open system meeting international standards, as 67 percent of it is owned by the Chinese government and the rest by stockholders. The fact that the Bank of China operates under Chinese state policy has raised concern among economists and researchers. Active assets of the banking sector, which makes up 97 percent of the Mongolian financial sector, amounts to merely 12 billion USD, which is equivalent to 27.2 trillion MNT. In contrast, the Bank of China is one of the largest banks in the world, with overseas branches operating in 37 countries registered at the Shanghai Stock Exchange and Hong Kong Stock Exchange, and reportedly, its active asset accounts are at approximately 560 billion USD. It's clear that opening a branch in Mongolia would set up monopolistic competition, considering the fact that the Bank of China has more assets than the entire Mongolian banking sector, not to mention greater than Mongolia's GDP. Mongolian banks offer loans with high interest rates, piquing Mongolian interest in opening foreign bank branches locally to lower the interest rates of loans. On the other hand, interest rates for the savings of individuals and companies are around 13.4 percent, which is considered too high. Simply put, loan interest rates aren't falling below 19 percent because banks get their money from sources with high terms. This indicates that there is a systemic flaw rather than problems with commercial banks, says one economist. A CEO of a large Mongolian bank said that if Bank of China opens a branch in Mongolia, it will attract major lenders with favorable and more reliable terms, threatening Mongolian banks and putting them in a difficult spot, which will eventually lead them to increasing loan interest rates, or to even go bankrupt. The Bank of China, which established an office in Mongolia three years ago, chooses to operate in markets only when certain that it will succeed and profit. It invests in the mining, infrastructure, and energy sectors, which hold strategic significance. In this sense, many people fear that every major company in Mongolia would be swallowed by the Bank of China. Local commercial banks would have to compete for the remaining small-profit loans, such as salary, small and medium-sized enterprises, and mortgage loans. Since most people prefer getting more secure loans from banks operating at an international level with high capacity, having a new foreign bank would negatively impact the competitiveness of local banks. Consolidating banks, cutting operational costs, and reducing loan interest rates by force might seem like the best options for maintaining competitiveness, but this could lead to unemployment, financial instability, and weak internal structure and capacity. It could even cause Mongolian banks to perish. Since its foundation, the Bank of China's Office in Mongolia issued a loan of 25.1 million USD to Tuushin Group for constructing new headquarters, and assisted its Hong Kong branch in completing a currency swap transaction of 350 million USD with Mongolia's Trade and Development Bank. Two years ago, the Bank of China reported that around 40 companies had applied for loans amounting to a total of three billion USD through its office in Mongolia. Since then, it hasn't made any announcements related to financing and investment. As mentioned before, the Bank of China sent a formal request to establish a branch in Mongolia in February 2016. According to its office in Mongolia, the new branch hopes to invest in infrastructure projects and provide loans that don't exceed 12 percent of the Mongolian banking sector's active assets. This might sound acceptable, but we mustn't forget that the Bank of China has taken hold of the economies of Malaysia, Indonesia, Kazakhstan, and Tajikistan with this exact method. Mongolia must be extra careful about the decisions it makes. Mongolia shouldn't take any opportunity that comes its way just because the economy isn't in good shape at the moment, because the independence of Mongolia is at stake. Quite a few nations have lost control of their economy and have even lost some of their land to the Bank of China. For example, a branch was opened in Kazakhstan, with the bank saying that it would finance SMEs, but it ultimately sponsored several large companies. As for Tajikistan, their financial system is dependent on the Bank of China, and 40 percent of its land is owned by China. The Bank of China also controls 70 to 80 percent of India's banking sector. If Mongolian companies are unable to repay their debt, their company could end up liquidated, and even raise serious issues related to the national economy and independence. China is one of Mongolia's largest trading partners, so the Mongolian and Chinese economies are already closely linked. Most of Mongolia's export and import trading partners, as well as companies interested in investing and cooperating on infrastructure, energy, and mining projects, are Chinese. This is a huge advantage for the Bank of Mongolia. Moreover, the Central Bank of Mongolia carries out swap transactions with the People's Bank of China, now and in the past, and the Chinese side is interested in raising the amounts of the swaps. Many observers are concerned about this, fearing the potential risks and the control China could get hold of over Mongolia in the future if something goes wrong. They note that opening a branch of the Bank of China when the nation is facing economic difficulties could push Mongolia straight into a sovereign debt crisis. If Mongolia must open a branch of a foreign bank, it should select an internationally recognized private bank with transparent operations, some Mongolian economists and bankers recommend. The nation is facing economic difficulties right now, but we shouldn't throw the baby out with the bathwater. Opening a Bank of China branch might appear to be a reasonable option for enhancing the banking system and lowering loan interest rates, but it might put the hard-earned independence of Mongolia at risk. September 28 (UB Post) Alfred Naef is a resident of Switzerland but spends much of his time in Mongolia. After finishing his studies in the field of logistics, he worked in England for a Swiss company which sold consumer goods in Mongolia. Since 1998, he has produced Chinggis Beer in Ulaanbaatar, now sold throughout the country and even brewed abroad under license. 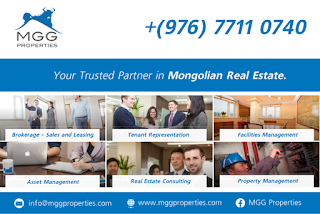 With many friends and business connections here, and as a keen observer, he is concerned about the developments in Mongolian society and about the deterioration of the environment in the place he calls his second home. Your home is near Basel, Switzerland, but you have worked in Mongolia since 1998. What brought you to this country? The Swiss company I worked for was doing business here, selling consumer goods much in demand but not yet readily available. Successful in that, the company looked for an investment opportunity. As a result, the Chinggis Beer Company, a Mongolian-Swiss joint venture, was founded in 1997. Production started in 1998, and this was when I first came to Mongolia. Next year we will celebrate the 20th anniversary of Chinggis Beer. Why did you decide to produce beer in Mongolia? With the exception of Khan Brau, no other brewery was producing quality beer on a regular basis. This, plus the fact that we all like to drink beer, gave us the idea of producing it here. Our success proves that the decision was a good one. Doing business in Mongolia is not always easy, often frustrating. In fact, doing business here is often very difficult. The mentality of Mongolians is very different from the mentality of Europeans, even more different from that of the Swiss. Of course, I had frustrating experiences in the beginning, and occasionally I still do have them. However, I have learned to adapt and to accept that many things here do not move as fast as was planned in meetings back in Europe, 6,000 kilometers from Ulaanbaatar. I have also learned to invest time and patience in the training of our staff. I take pride in the fact that many managers and employees hired at the very beginning are still working for our company. Today I am very glad that I had the opportunity, at the age of fifty, to get to know a culture so completely different from my own and to take up this very special challenge. You are also involved in various organizations here, including the Rotary Club. Is networking important for business or social reasons? Over the years, I have made many good Mongolian friends. However, it is also important to keep in touch with the foreigners here, the "expats", in order to exchange opinions and experiences, and also to obtain important information about new laws and regulations. Good contacts of all kinds make life interesting. You are also on the board of Friends of the Takhi, Mongolia, working with the International Takhi Group (ITG). This Swiss organization has reintroduced the wild horse to the Gobi B Strictly Protected Area, in the southernmost parts of Gobi Altai and Khovd provinces. Have you been to Takhintal? A very good friend of mine in Switzerland, Dr. Siegfried, was one of the founders of the Takhintal project. His reports aroused my interest in the reintroduction project. My Mongolian friend Sukhee, who was then a ranger at Khustaii National Park, explained to me the importance to Mongolia of the wild horse in its natural habitat here. I became fascinated by the history of this project and the excellent results obtained so far. In 2011, I had the opportunity to go to Takhintal with my daughter. That visit left a deep impression on both of us. How is Takhintal different from Khustaii? The two projects, Khustaii, which was started by the Dutch, and Takhintal, started by the Swiss, both began reintroducing the wild horse about 25 years ago. However, there is a huge difference between these two national parks. In Khustaii, the smaller park, the wild horses stay closer together, partially because there is always plenty of water and grass available to them. In Takhintal, the herds are spread over a much larger region. In Great Gobi B there is much less water and the vegetation is sparse. This means that the horses must cover greater distances to find what is necessary for their survival. Where there is water in the desert the animals sometimes meet. The breeding during these moments of contact are genetically important to increasing the Takhi population. A major risk to the wild horse in Takhintal is the harsh winter, the dzud, when some horses could starve. In Khustaii a harsh winter is not much of a problem. Wolves are a danger in both parks, especially to the foals. The wild horses flown to Mongolia and released here are carefully selected for their health and their genes, to insure the survival of the Takhi in their land of origin. Friends of the Takhi would like more support from Mongolians. Is it difficult to find donors here? found on our website savethewildhorse.mn. Originally a nomadic people, Mongolians are said to be close to nature, to respect the environment. In your opinion is this still true? I enjoy traveling through this beautiful land. However, every time I am in the countryside I feel frustrated and disgusted when I see the amount of garbage, plastic bags, glass bottles, and other waste scattered over the steppes and along the roads. Herdsmen tell me that they lose livestock when the animals eat plastic bags. It irritates me to see people washing their cars in the rivers. I do hope that the awareness of the importance of a clean environment will increase in Mongolia. The Swiss are known for keeping their country clean, for recycling paper, glass, metal, batteries, and other things. Could recycling work in Mongolia, too? It should not be difficult to start a functional and efficient recycling system here. I can see the beginnings of an effort in that direction. However, it will take a long time for recycling to become a habit because the awareness of its importance simply does not yet exist. Trees are being cut illegally in Mongolia, the forests are disappearing. planted they are often abandoned. Without water and care, most of the trees die. In Switzerland, for every tree which is cut many young ones must be planted. That way at least one will survive. The surface covered by forests is even growing. Mongolia has many Strictly Protected Areas. Are these really protected? No, most of them are not really protected. They are overrun by tourist camps, which destroy their beauty. Picnickers leave trash. Because sanitation facilities are lacking, many wonderful spots are turning into public toilets. You have observed many changes over the past 18 years, some of them good, some bad. Yes, not all of the changes are positive. The traffic is unbearable, consumer prices rise steadily, the gap between the rich and the poor is growing, and the real estate market is totally overheated. On the other hand, the energy supply has improved and the collection of garbage seems to be working in parts of the city. The availability of consumer goods has reached Western standards. From Western food to luxury goods, you can find everything in Ulaanbaatar now. The variety of restaurants equals that in a Western country. However, the climate here is not investor-friendly. The flood of new rules and regulations makes life difficult. Many foreign guests come to visit you here. What are their impressions of this country? In the past 18 years, I have brought many guests and tourist groups to Mongolia. Every single one of them left this country impressed by its natural beauty and the very warm hospitality of the Mongolian people. What do you tell young Mongolians who wish to succeed in business and also help improve the standard of life in their homeland? My advice to young Mongolian people: don't leave this country after your studies. Stay here and help build it up. Mongolia still has a long way to go. It has great potential but needs good people to meet the challenge of making it a blooming and prosperous nation. September 29 (gogo.mn) NorthEast Asian workshop on media and journalists` participation in the protection of intangible cultural heritage will be held in Ulaanbaatar, Mongolia from 9-13 October 2016. UNESCO Office in Beijing, Mongolian National Commission for UNESCO and Information and Networking Centre for Intangible Cultural Heritage in the Asia Pacific Region are jointly organizing the event. The main purpose of the workshop is to increase the participation of media and journalists in the protection of intangible cultural heritage, exchange information and experiences, strengthen and develop the cooperation. More than 25 representatives from Mongolia, China, Japan, South Korea, North Korea, experts of international organizations​, the Government and medias will attend the workshop. Ulaanbaatar, September 29 (MONTSAME) The scientific conference themed "Chinggis Khaan: His Legacy and Indian Culture" opened at the Ministry of Foreign Affairs on September 29. Opening remarks were given by Deputy Prime Minister U.Khurelsukh and President of Indian Council for Cultural Relations Lokesh Chandra. They both highlighted the start of people-to-people rcontacts between Mongolia and India dates back to the 13th century, and the national and international scholars have been adding different tones to the historical evidences about Chinggis Khaan with their researches from considerably distinct angles. Presentations themed "Coins inspired by Chinggis Khaan throughout the world", "Traditional image of Chinggis Khaan", 'Chinggis Khaan and modern Mongolian Identity", "Contemporary Political Culture of Mongolia" and "Offering and Legacy of Chinggis Khaan" were discussed at today's session. In its scope, the Union of Mongolian Artists are hosting at its gallery an exhibition ahead of the scientific conference. September 29 (news.mn) Young monks of the Dashchoinpel datsan, which is a Mongolian Buddhist Religious Centre at Ulaanbaatar's Gandan Monastery, have announced that they plan to present a device for classifying and localizing abnormal heart rhythms (arrhythmias) to the National Centre for Maternal and Child Health of Mongolia (NCMCH). The monastery is marking its 280th anniversary of serving the people. The arrhythmias apparatus and other equipment is worth more than MNT3 million. Mongolia, September 29 (IOM) – Nyamdulam and her family had been herders in Zavkhan Province, in remote north-west Mongolia for Nyamdulam's whole life. In Zavkhan Province, Nyamdulam's family had over 300 head of livestock including sheep, yak, camels, cows and horses. As is the case for many Mongolians, their livestock were their whole livelihood. Zavkhan province, where Nyamdulam's family lived, was heavily affected by the harsh dzuds of 1999/2000 and 2000/2001. In 2007 her family was forced to move to the local township, and eventually in 2010 to Mongolia's capital, Ulaanbaatar, to find alternative sources of livelihood when all their livestock died in a climate related natural disaster known locally as dzud. They moved, and started trying to collect salt to make a living, but many families who lost livestock during the dzud were doing the same. "We weren't earning enough to meet our daily needs," Nyamdulam explained. In 2009, she made the 1000 kilometre journey to Mongolia's capital, Ulaanbaatar, for the first time to see what the city was like, and in 2010, they made the decision to move. "We had no choice but to move. If we had not lost all our livestock, we would have stayed." Nyamdulam's story is not unique. Over 50,000 people are estimated to have moved to Ulaanbaatar directly after the 1999-2001 dzuds, and another 70,000 people two to three years after as herder families struggled to rebuild their livelihoods. Mongolia was again impacted by harsh dzud in 2009/2010, in which more than 8 million head of livestock (or around 20 percent of the country's total) died, and around 20,000 herdspeople were forced to migrate to towards Ulaanbaatar. Nyamdulam's story represents a growing trend. Mongolia's unique geographical location, and the reliance of rural populations on animal husbandry, make it one of the countries most vulnerable to climate change. it was ranked 8th among over 100 countries in the Global Climate Risk Index of 2014; over 70 percent of land area has already been affected by desertification; average temperatures have already risen by 2.14 degrees; and glaciers in the far north western provinces, which feed green valleys in an otherwise barren landscape, are fast retreating. Mongolia was again impacted by dzud last winter. This climate change is expected to lead to intensified drought and aridity, continuing glacial retreat, increased amounts of snow during winter time, and an increase in the frequency and the extent of dzud. A Government and UN report released in 2009 states that there is a risk that the traditional, pastoral way of life may "become extinct because of changing environmental, climate and weather conditions." Like Nyamdulam's family, most internal migrants in Mongolia settle in ger districts on the outskirts of Ulaanbaatar, so-named for the traditional, mobile felt dwellings that many people in these districts live in. About 60 percent of the city's population lives in these areas, but despite their size, they are considered temporary slum settlements and have not been formally integrated into city development programming. The rapid population growth in these areas has already outpaced the Government's ability to provide basic services, adding to the difficulties faced by herder families who migrate to the city. Nyamdulam again: "Once we moved, it was difficult to settle down. We didn't know how life in Ulaanbaatar worked, or how to find a job. We had been herders our whole lives. Everything was different. "We came to Ulaanbaatar with 10 people, the whole family, including my sisters and two brothers. We lived in a small dormitory, with a shared living space. I found work keeping the coal heaters in the dormitory going throughout the night, and my mother was working as an apartment guard and cleaner. Living in the public dormitory for two years, we didn't register our new residence with the local authorities, so the children couldn't go to kindergarten. "My brothers did not like living in Ulaanbaatar. They moved back to the countryside to find work herding other people's animals for a salary. Now it's only the women and children in Ulaanbaatar." "When we were herders, we would get up early. We milked the cows, separated the small animals and moved the flock. The small children took care of the baby sheep. We would come back from the pasture at 5pm, milk the sheep and goats and cook on the stove in our ger. My mother made dairy products during the day – tarag (yoghurt), aaruul (dried yoghurt), and Urum (cream). In Zavkhan, there are lakes and very nice mountains. We miss our winter camp and our autumn camp." "Now things are much better for us in Ulaanbaatar. We know many people, and understand how life in Ulaanbaatar works." Her ger is lined with medals and trophies – from her own basketball and volleyball achievements, and her children's achievements at school. Her family's dream now is to have their own yard, and their own ger. September 29 (The Daily Universe, Brigham Young University) The first time Joshua Sims discovered his love for the Mongolian language was when he served his mission a few years ago. This summer he returned to Mongolia to study Mongolian phonology and last year he served as a translator for a Mongolian delegate at the BYU Law and Religion Symposium. With the recent influx of returned missionaries at BYU, many returned missionaries like Sims have found ways to integrate their mission languages into their studies and other aspects of their lives. Sims, a senior majoring in linguistics who served in the Mongolia Ulaanbaatar Mission, said he chose to pursue Mongolian in his studies because it fit well with his desired field. "The whole Mongolian thing kind of fell into my lap," Sims said. "Fluency in Mongolian is not something most people can put on their resume. Linguists who study Mongolian usually have to put in hard labor for years and years to learn. It worked out well that way." Sims mentioned that in the future, he hopes to pursue an advanced degree to the doctorate level in Central Asian Studies and eventually become a professor. Ulaanbaatar, September 29 (MONTSAME) Mongolia's Erdenesuren Munkhtulga, riding for Ningxia LIVALL continental team, won the first stage of a two-day international cycling race in north China's Hebei Province on Wednesday, Xinhua reports. September 29 (UB Post) On September 26, administrators of the General Executive Agency of Court Decision met with Mongolian powerlifting athlete E.Sodnompiljee, who won a bronze medal in the men's 88 kg powerlifting event of the Rio 2016 Paralympics. During the ceremony, powerlifter E.Sodnompiljee was formally promoted to the rank of Captain. Athlete of Suld Sports Committee of the General Executive Agency of Court Decision E.Sodnompiljee lifted 210 kg at the Rio 2016 Paralympics and secured a bronze medal. He returned to Mongolia from Brazil on September 24. Ulaanbaatar, September 29 (MONTSAME) On the occasion of the 95th jubilee of diplomatic ties between Mongolia and Russia, artists from the Mongolian State Academic Theatre of Opera and Ballet and the Russian Bolshoi Theatre are staging a joint concert named "Eternal Friendship" on October 4 in Ulaanbaatar. Prominent music conductor Aleksandr Polyanichko, bass Kazakov, mezzo soprano E.Manistina and soprano E.Marazova from Russia are visiting Mongolia to honor the Mongolian audience. In 2014, the best singers of the State Academic Theatre of Opera and Ballet staged the "Golden Voices" concert at the Bolshoi Theatre. At the concert, co-organized by the Russian Embassy in Ulaanbaatar, Russia Ministry of Culture and the former Ministry of Culture, Sport and Tourism of Mongolia, the famous conductor Polyanichko and soloist Aglatova have performed together. September 29 (gogo.mn) "Face of beauty International 2016" the worldwide pageant, under the slogan Save Mazaalai, commences in Ulaanbaatar city. "Beauties from 60 countries are promoting Mongolia to the world every minute and every hour". "Nice to be here with you again in Mongolia. It is a pleasure for me to work with the young organization team. Thank you for the organization that is going very well. We will have really good show at the final". "It is my honor to work as judge for the "Face of beauty International 2016". I hope that Mongolians will pay attention to the contest and actively participate in it. As I am working as a judge, I will try my best to promote the both inner and physical beauties to the world and conduct fair competition". Final contest will take place on Oct 8th and more than 10 countries will cover live broadcast. In regards, more than 300 tourists and journalists from major media agencies are expected to visit Mongolia. This year, the "Face of Beauty International 2016" is being organized under the slogan Save Mazaalai with the aim to protect Mazaalai which is near to go extinct. Event organizers emphasized that the fifth edition of the "Face of Beauty International" has a large significant impact on environment, tourism, culture and economy. Mongolia is being represented by the national winner E.Urangoo. She has completed degree at the City University as a marketing manager. She is a singer, dancer and actress. She likes sport and has bronze medal from the National Chess Championship. GoGo News Agency is working as a media partner for the "Face of Beauty International 2016". Jordan Roberts admits he was a little skeptical. September 29 (Calgary Herald) When scouting locations for his drama Burn Your Maps, the writer-director was assured that Alberta would make a believable Mongolia. It was not something he was willing to accept at face value. And it wasn't the only thing he was promised. "Film commissions will say just about anything to get you to come," says Roberts with a laugh, in an interview from his hotel room after screening Burn Your Maps as part of the Calgary International Film Festival the night before. "So yeah, they told us it could shoot for Mongolia, but I knew we'd have to come up and see that for ourselves. They also told us that a bunch of Mongolians lived here and I was sure they were lying about that. But they weren't." The local Mongolians, in fact, played a big part in convincing Roberts and his producers to bring the project here in 2015. Many are in the film and a few acted as consultants to ensure the depictions of their culture were accurate. As for whether Alberta could sub in for Mongolia, the filmmaker had watched a few locally shot westerns that showcased our beautiful vistas. But would they make a believable Mongolia in a production that, through movie-magic sleight-of-hand, needed to "drive the truck through Mongolia and have it arrive in Alberta." "We were looking to match Mongolia, not match Montana or Texas or Kansas," Roberts said. "We were scouting simultaneously in both this province and that country. Mostly we were looking at Mongolian movies and then driving around Alberta trying to find those vistas." It turns out, the local film boosters were right about that too. Among the many questions that Roberts fielded last week at the first CIFF screening of Burn Your Maps was how much was shot in Alberta and how much in Mongolia, suggesting the transition is fairly seamless to those watching the film. It turns out that most Mongolian scenes — all but 16, mostly establishing shots — were filmed in Kananaskis Country, areas of the Stoney reserve and Albertina Farms, all within an hour's drive of the film's home base in Calgary. But this is only the tip of the iceberg when it comes to the movie magic Roberts and crew achieved with Burn Your Maps. The film expands on Robyn Joy Leff's award-winning but sparse short story of the same name, turning it into a globe-trotting, majestically shot drama about loss and healing that is both funny and sad. Burn Your Maps screens Saturday at 11 a.m. at Eau Claire Cineplex as part of the Calgary International Film Festival.